Okeanis Eco Tankers Corp. has been granted an option by the Company’s Chairman (the Sponsor) to acquire two Suezmax newbuilding vessels to be constructed at Hyundai Heavy Industries delivering in Q3 2020. The Option secures a right for the Company, at no cost, to acquire the Option Vessels at the Sponsor’s acquisition price. 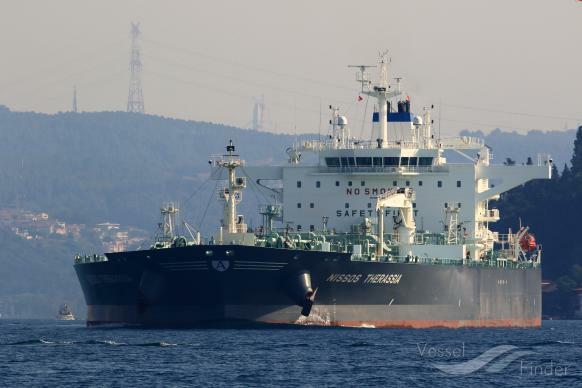 The Option was given by the Sponsor following a unanimous decision by the board of the directors of the Company (the “Board”) not to exercise its right of first refusal to step into tanker transactions sourced by the Sponsor. The Option is exercisable at any time on or before 1 November 2019. In the event that the Company does not exercise the Option, the Company will receive a daily fee of USD 600 per vessel from the Sponsor for the commercial management of the Option Vessels upon their delivery. “After careful evaluation of the opportunity, its entailed capital requirements and impact on the Company’s forecasted per-share financial metrics relative to the Company’s current potential, the Board decided to forego the opportunity to grow the Company. The Board is of the unanimous view that the Company’s fleet is already well-positioned –- in terms of size, composition, age and growing spot market exposure –- to capitalize on the strengthening tanker market, and that further growth is thus not warranted at this time. Nonetheless, as the Sponsor of the Company, I have granted the Company the Option to acquire these vessels from my private vehicle at the price I contracted them, further enhancing the Company’s already considerable exposure to rising tanker asset value upside at no cost. The main drivers of the decision by the Company to exercise or not exercise the Option will be the prevailing market conditions, asset values and the Company’s cost of capital (of which the share price discount or premium to Net Asset Value is a key metric) at the relevant time.